The number of Qataris seeking medical treatment in private clinics appears to have grown substantially since the launch of the country’s nationwide health insurance scheme, with at least one prominent hospital reporting that up to half of its patients are now nationals. Since Seha (“health”) started in August 2013, the program has expanded to cover the cost of medical treatment of all Qataris. The insurance scheme is now accepted by nearly 200 privately-run hospitals, clinics, health centers, opticians and other service providers across the country. Previously, nationals could only get free treatment at a limited number of government-run hospitals and local health centers. However, the roll-out of the plan has not been without hitches. Some patients have reported wait times of several hours to see a physician at some popular private health clinics and hospitals. 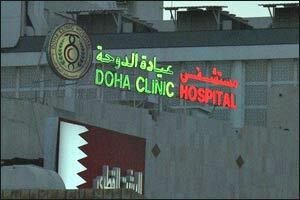 “Before Seha, most of our patients were cash patients. Now many of these have been replaced by Seha patients, who make up 40 percent and sometimes up to 50 percent of our total number. This rise is significant, as Qataris make up only around 12 percent of the total 2.33 million-strong population. Zakaria added that the hospital is operating at capacity, with the services provided by some departments – namely emergency, pediatrics, and obstetrics and gynecology – in particularly high demand. Last month, an official from the National Health Insurance Company, which runs Seha, announced that a further expansion of the program to cover expats would be delayed. According to the original timeline, the scheme had been due to cover white-collar and then blue-collar expats by the middle of this year. However, this has now been pushed back until at least the end of 2016 to give officials more time to address complaints of overcrowding in some private hospitals and clinics. When it eventually comes into effect, all non-Qatari residents will be required by law to have healthcare insurance provided by their employers through Seha. As this is not yet compulsory, many of the lower-income workers who are not insured use the government hospitals and clinics for treatment, which has put these facilities under pressure. However, the scheme has benefited some other private healthcare providers, at least one of which has reported significant profits since Seha launched. Medicare Group QSC, which owns Al-Ahli hospital, announced this week that its net operational profits had increased by 103 percent in one year, from QR89.5 million in 2013 to QR181.5 million in 2014, the Peninsula reports. Speaking at the company’s general assembly in Doha, Chairman Sheikh Abdullah bin Thani Al Thani admitted that the hospital’s inclusion in Seha and subsequent increase in patients had stretched its resources. However, the facility responded by expanding capacity – increasing the number of sections, beds, doctors, nurses, surgery and obstetrics rooms, as well as installing more medical equipment. Meanwhile, Al-Ahli officials confirmed plans to open a polyclinic as a branch of the hospital in Al Wakrah by fall this year. This comes amid a push to provide more services and amenities in the town, to encourage residents to move from increasingly overcrowded Doha. Earlier this month, Hamad Medical Corp’s director of women’s services David Barlow said that patients are being encouraged to consider medical treatment at centers outside Doha, in a bid to more evenly spread demand for care and reduce the impact on the hospitals in the capital. There are also plans underway to establish markets in towns outside Doha and to build more schools and nurseries.